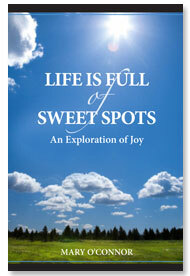 As originally written, Life Is Full of Sweet Spots was dedicated to those who might look to the sky and see its rays of hope, breathe the air of the sea, of the garden, of home, and be energized with open minds and joyful hearts. Sadly, events such as the Sandy Hook school shootings, the Boston Marathon bombings, Colorado fires, Oklahoma tornados, conditions such as war and drugs and poverty, all tell a seemingly unending story of heartbreak and devastation for so many. It is for each and every one of those so affected that I now add a most important line of dedication: To all who struggle to heal a broken heart. But words of dedication aren’t enough. Knowing this, I am also announcing a new, specially commissioned, Sweet Spots in Glass Award. My wish is that it will bring encouragement, appreciation, and honor to those who have shown selflessness, courage, strength, hope and continued positivity in the face of loss and heartache. Most especially, it is a way of recognizing those who seek to keep the vision of joy alive for those who are dealing with sadness, loss and hard times. Created as a limited edition series of hand cut, fashioned, and fired glass sweet spots, the awards were created through a process that combines the ancient technology of glass fusion with the space-age dynamics of dichroic glass, resulting in a piece in which the colors shift and change as one moves. 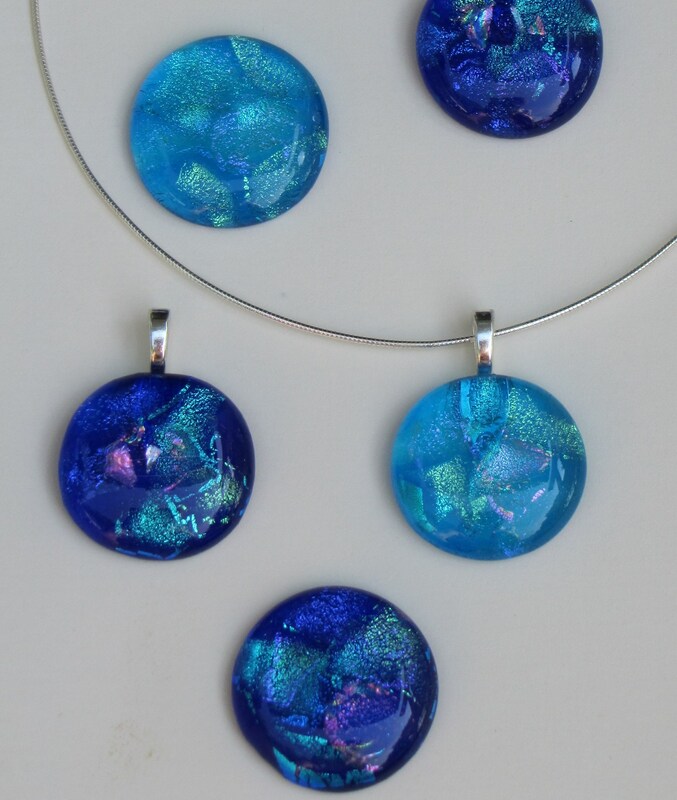 Each Sweet Spot in Glass Award is designed to be worn as a pendant around the neck, close to one’s voice and heart, or as a polished glass symbolic meditation stone that may be held in the palm of one’s hand or carried in one’s pocket as a center of comfort. Glass fusion artist Barbara Shulman-Kirwin of BSK Design, Guilford, Connecticut, was commissioned to create the award. Drawing on her fascination with light and the magic of glass, Shulman-Kirwin selected cobalt and turquoise blues, green, and a touch of rose for the awards. Colors were chosen for their emotional energies and psychological correlations with healing, hope, peace of mind and harmony of spirit, as well as for their influence on one’s ability to cope with sadness. The hope is that this small, but emblematically powerful, sweet spot will serve as just one tiny expression of the internal strengths and energies that are needed to nourish and renew an injured spirit and soul. If it can provide just one tiny reflection of the elements of peace and tranquility that are so essential to the vitalization of a troubled soul, it will meet its purpose of renewing the smiles that are the signature of joy. Sweet Spots in Glass Awards are presented on a spontaneous, as-circumstance-suggests basis. This is a great idea! We all need reminders of joy, especially those of us who have experienced tragedy like you describe. Thank you for coming up with this! Thanks! I’m hoping that it will bring even just a little bit of comfort to those who have gone through so much with all of that has been happening in this crazy world of ours! Bravo, Mary. This giving, heartfelt idea will indeed help receivers to keep the faith. It’s just one small way of reaching out to the many who, frankly, deserve so much more!